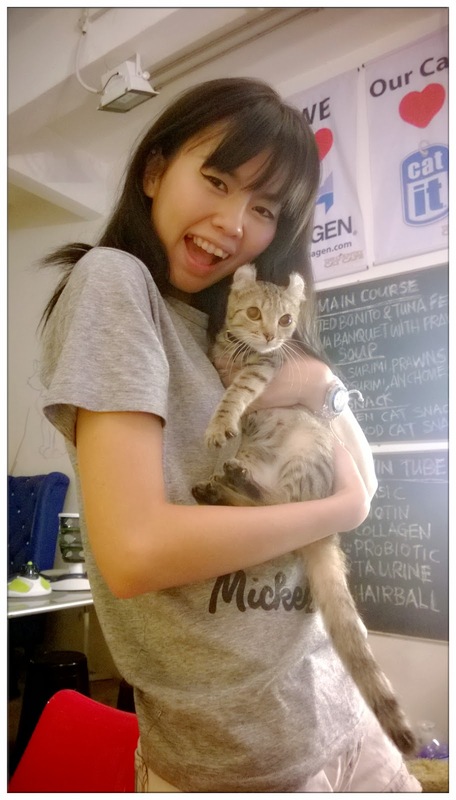 Visited the very first cat cafe in Malaysia early this month, and I never wanted to leave that place that day! 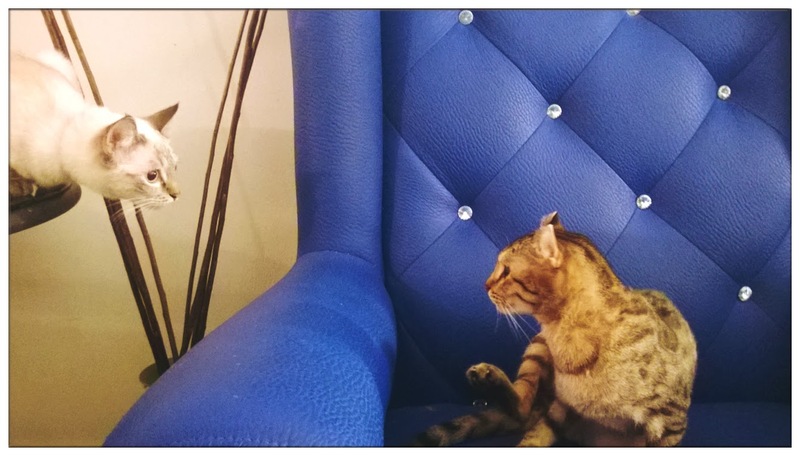 Feels so comfortable in the cafe, hanging out with all the cats around. 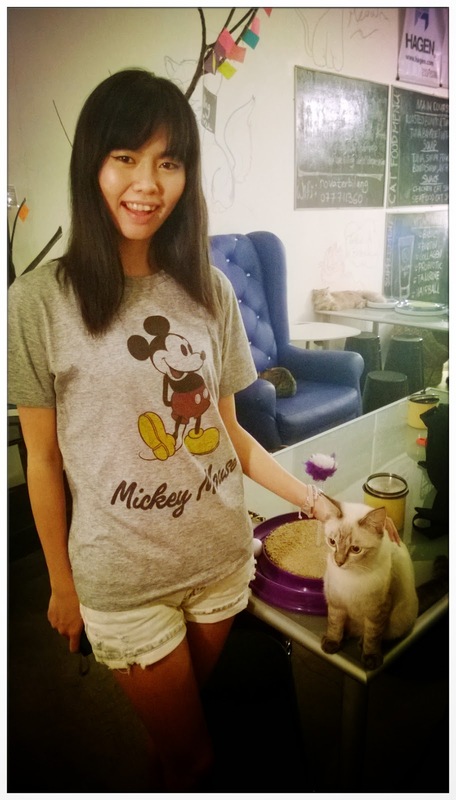 Now I know why more and more cat cafe open up in Japan and Taiwan. 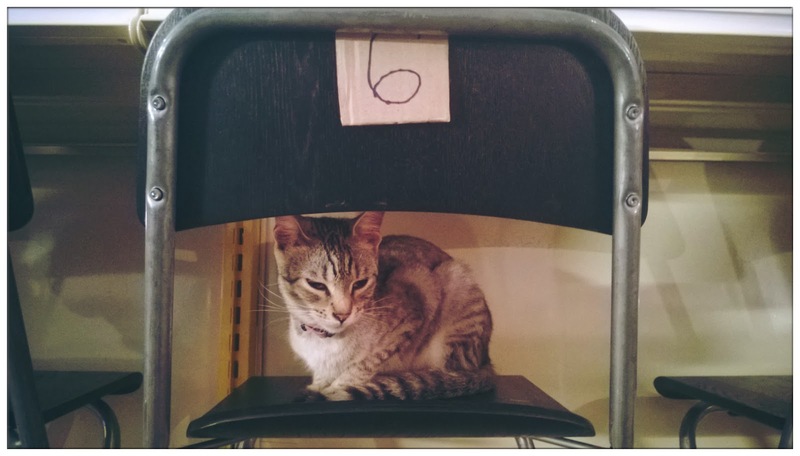 If you're a cat lover like me too, read this post and go to this place! Can't wait to go in!!! If you know PV128 and Columbia Asia Hospital in Setapak, it is not hard to find this place at all. 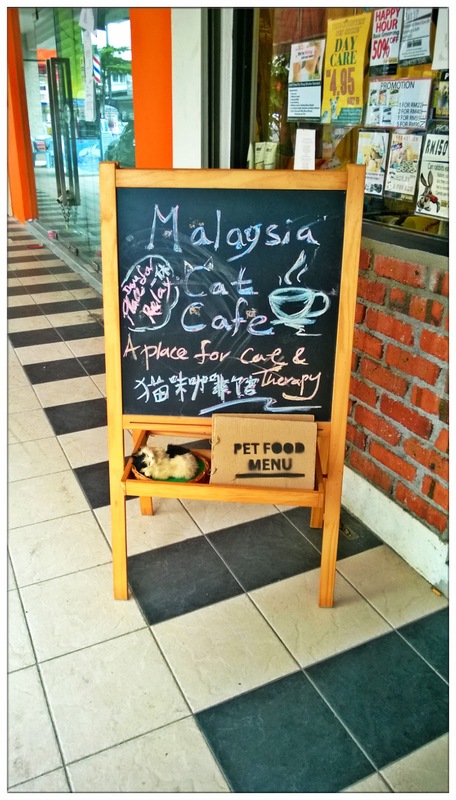 It's located behind/beside Columbia Asia Hospital, beside a Pizza Hut outlet, in a pet store called Country Pet Store. Doubt you never knew there's a cafe in it eh. lol. 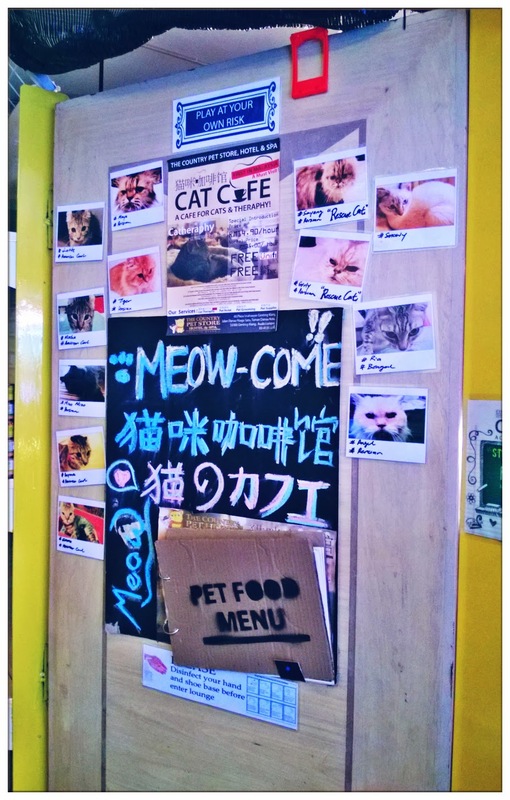 I guess they wanted to try the market for cat cafe at first? 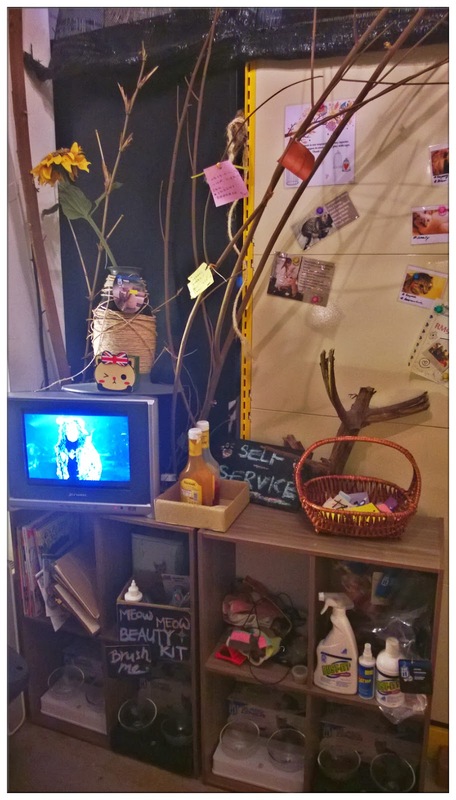 So everything were arranged in a very simple way and sharing space with the pet store. 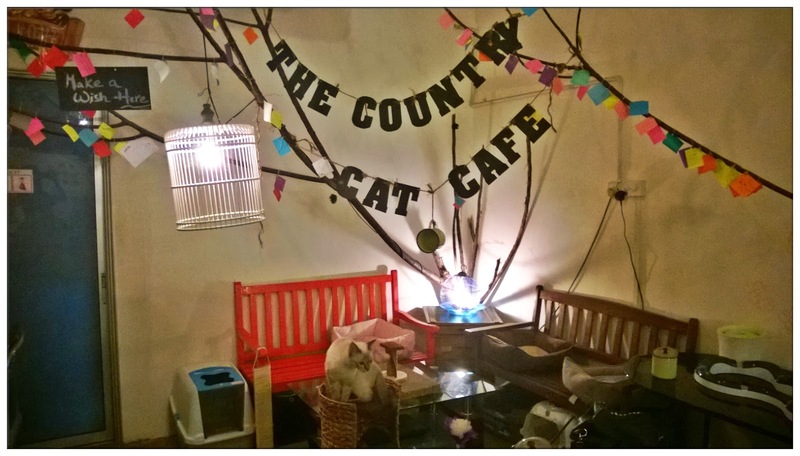 I do hope more and more people will visit the cat cafe and make it a boom so they will refurbish the whole place into a moderate cafe where customers can sit on the floor with the kitties. 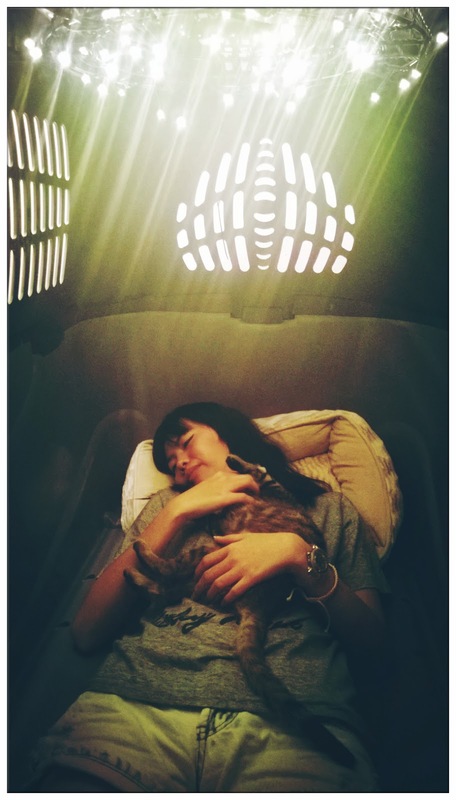 The purpose of cat cafe is actually for visitors to get some Catheraphy. 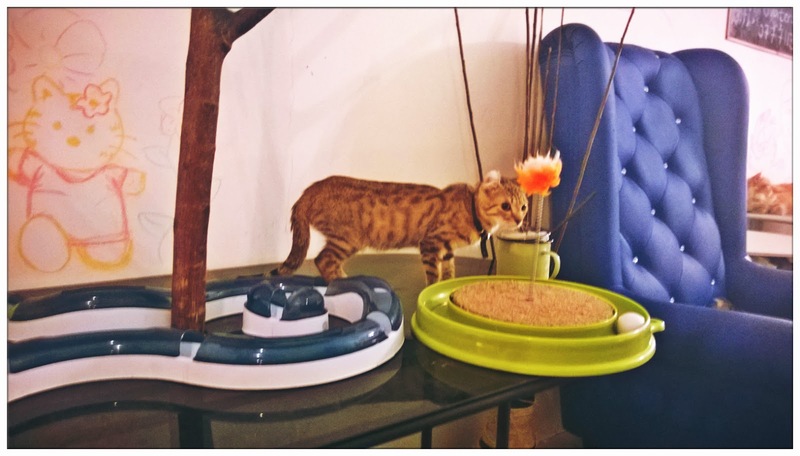 Sharing place with cats, play with them and stroke them in a gentle way can actually bring benefits to you and your body, both physically and mentally. That's why I always wanted a cat! 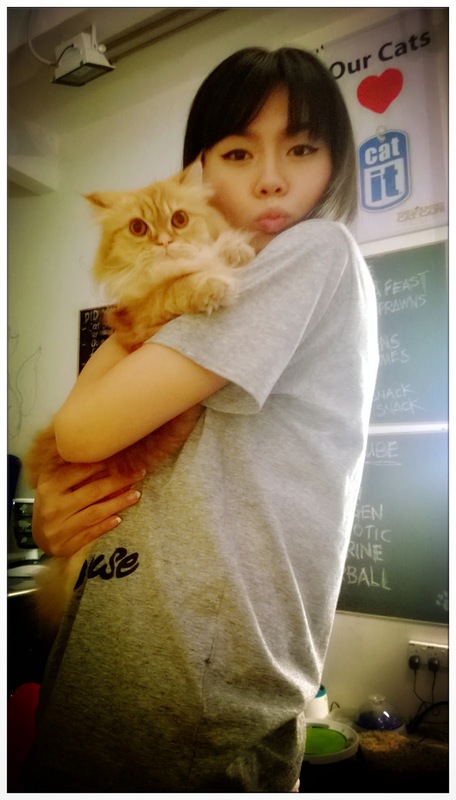 But it's okay now as I found the cat cafe just nearby my house. Yay! 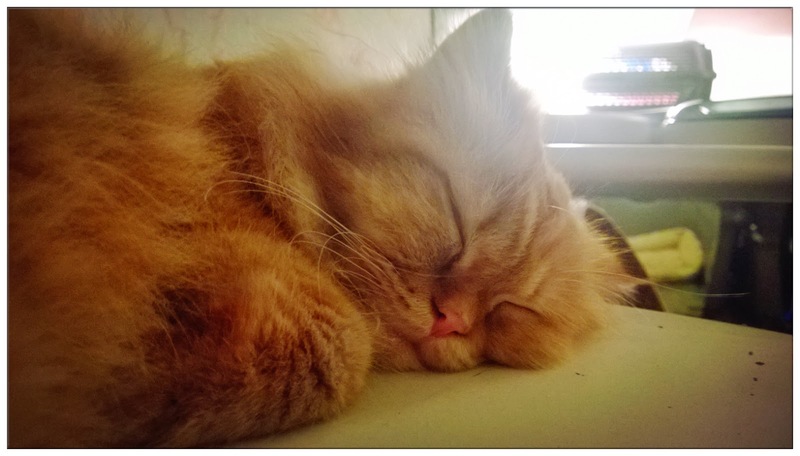 You know, cats aren't like dogs who can be close to you in just a short while. They will observe you and if they doesn't like you that's it, you'll have to gain your trust in them and let them be close to you willingly. Each cat has their own territory as well, so if you carry one cat in your arms, make sure you're not too close with another cat or else they will start fighting. Love Mocha the most! She can sleep all day on this sofa, or my lap. haha. 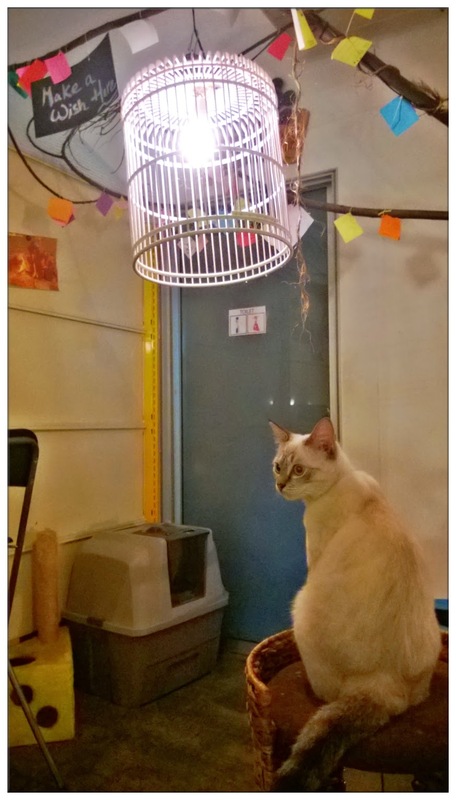 The owner of the pet store build up the cafe in the simplest way, with just partitions and a door. The cats are running around or napping at their spots. There are many toys provided for you to play with them too. I run around with the toy in my hand and they keep chasing me around, it was fun! But after some runs I can't even breathe properly, lol. Definitely need to be fit in order to play with the cats. I'm a big cat in the cage. Shhh, don't wake them up when they are taking cat naps. 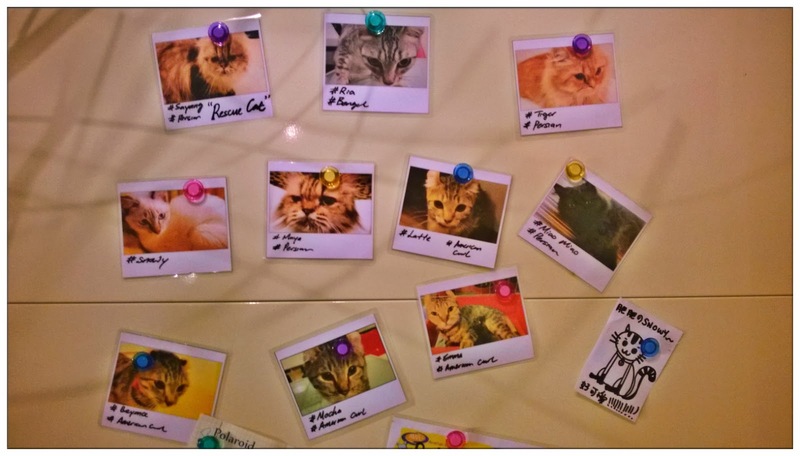 Visit the cat cafe with just RM14.90 per person per hour (or RM9.90 with student card) including one drinks. 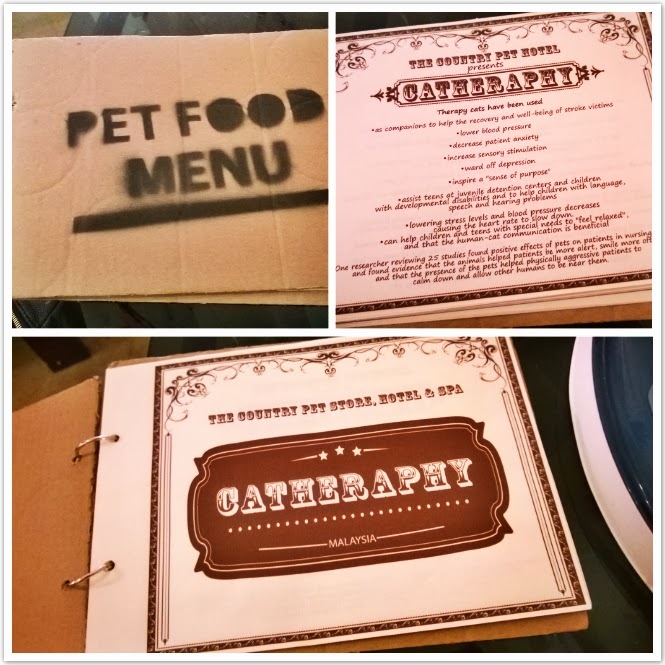 You'll totally forget about the drinks because you are so busy bonding with the cats. So happy to have visited the place early this year, that gave me all the good vibes for a good year start! Will definitely visit more often in the future, and hopefully to see you there too! 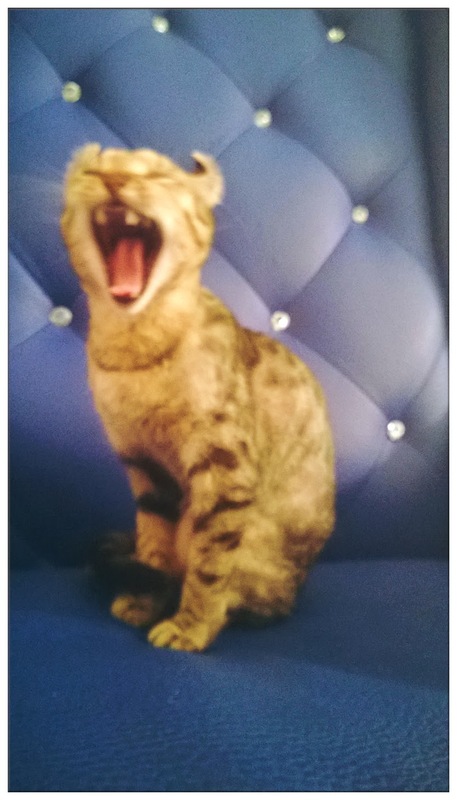 That's all for now, meow~!